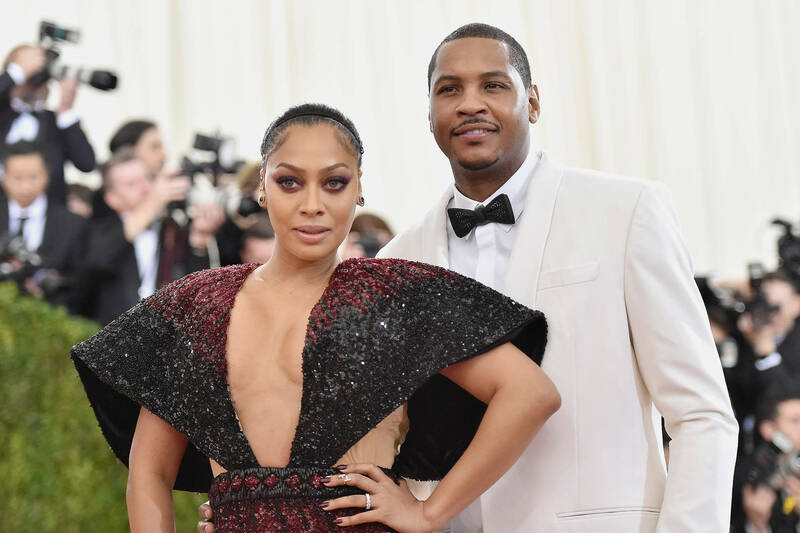 Carmelo Anthony and La La Anthony split last year after the NBA player allegedly cheated on his wife. The rumors went as far as to claim that Carmelo may have impregnated another woman, and although he spent months on social media apologizing, La La wasn't having it. The couple was one of the most endearing in hip-hop culture, so many were sad to see them end things. Here we are at the end of 2018 though, and sources close to the situation tell US Weekly that the Anthonys are back together. “La La and Carmelo have recently reconciled and they truly still love one another,” an insider close to La La told the publication. “It’s so obvious when they’re together.” The couples 11-year-old son Kiyan was cited as the main reason for the couple to make up. “They also both want what’s best for their son and are committed to being a family," continued the source. Just a few days ago, Carmelo showed up to La La's third annual Winter Wonderland charity event in New York City. "Carmelo spoke about how proud he is of her and hugged and kissed her,” a source told PageSix. Love really is in the air this Christmas.